He was a year old and living with his family in Weathersfield, Trumbull, Ohio. John's father, Joseph, is listed as a 'laborer' as are his brothers, including thirteen year old Robert. None of the school-age children are listed as attending school within the year though they could apparently read and write. Joseph is listed as a US citizen. 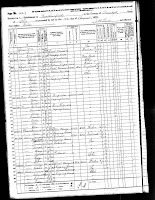 1870 US Census, Trumbull County, population schedule, Weathersfield, p. 494B, dwelling 807, family 808, Joseph Allen (head); digital images, Ancestry.com (ancestry.com : accessed 13 June 2011); NARA microfilms publication M593, roll 1272. 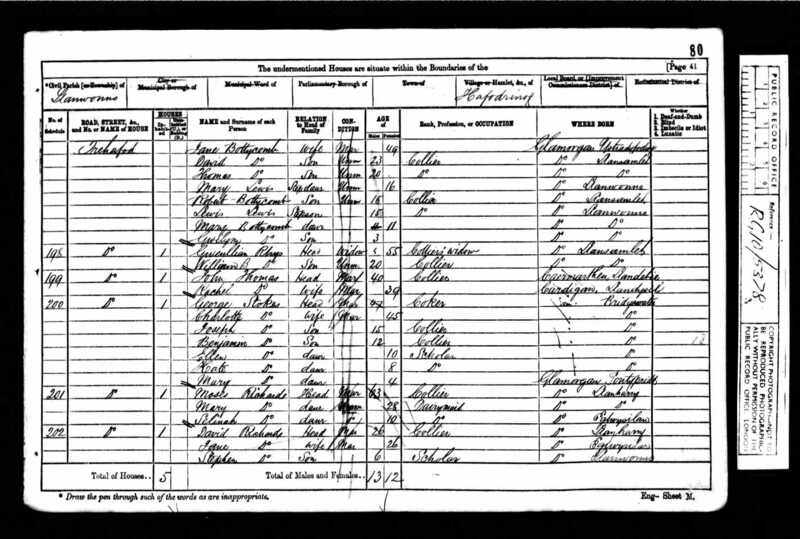 1871 England Census, Dorset, Sydling St. Nicholas, District 7, RG 10, Piece 2016, Folio 4, p. 4, household 22, Robert Croad (head); digital images, Ancestry.com (ancestry.com : accessed 4 August 2011); The National Archives of the UK, GSU roll 831756. Mary was four and with her family in Pontypridd, Wales (enumerated as Llanwonno). Her sisters, Kate and Ellen, were listed as 'scholars' but her brothers, Joseph (fifteen) and Benjamin (twelve) were working in the mines with their father. 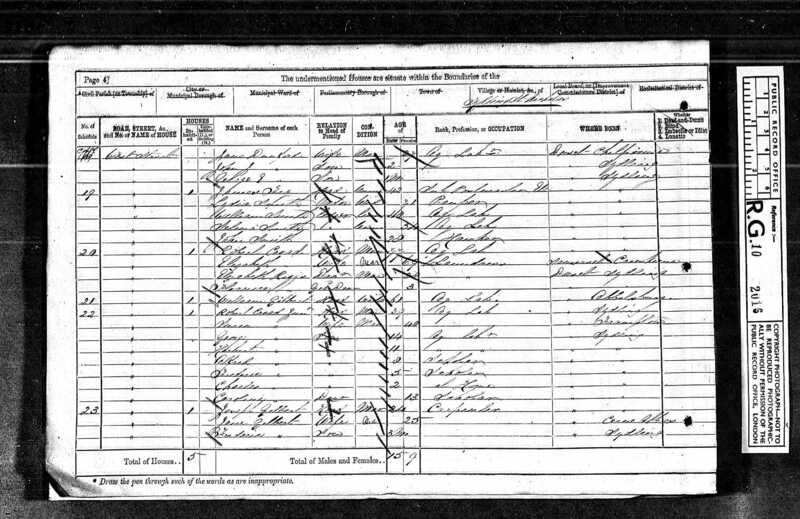 1871 Wales Census, Glamorgan, Llanwonno, District 18, RG 10, Piece 5378, Folio 80, p. 41, household 200, George Stokes (head); digital images, Ancestry.com (ancestry.com : accessed 4 August 2011); The National Archives of the UK, GSU roll 849477. 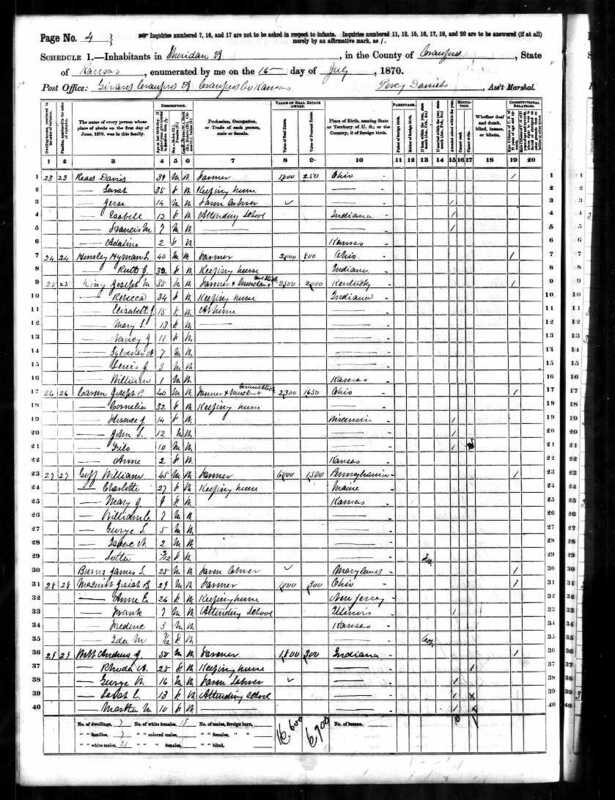 Heman doesn't appear to have been enumerated in the 1870 US Census (I've looked long and hard and never been able to find him or his family enumerated). He would have been about seventeen and living in San Joaquin Co., California - probably with his mother and younger siblings and working on the family farm. 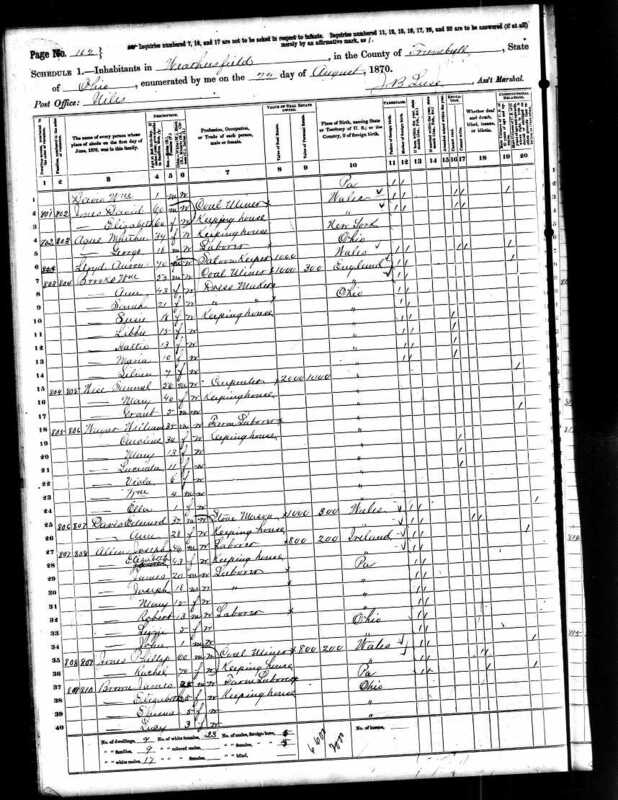 Another ancestor I can't find in 1870/1871. Emma would have been eleven or twelve and with her family in either Calais, Washington, Maine or St. Stephen, Charlotte, New Brunswick. John and Susanna were in Prairie Twp., Shelby, Illinois where John was a minister for the German Evangelical Association. Also with John and Susanna was their one year old son, Samuel. 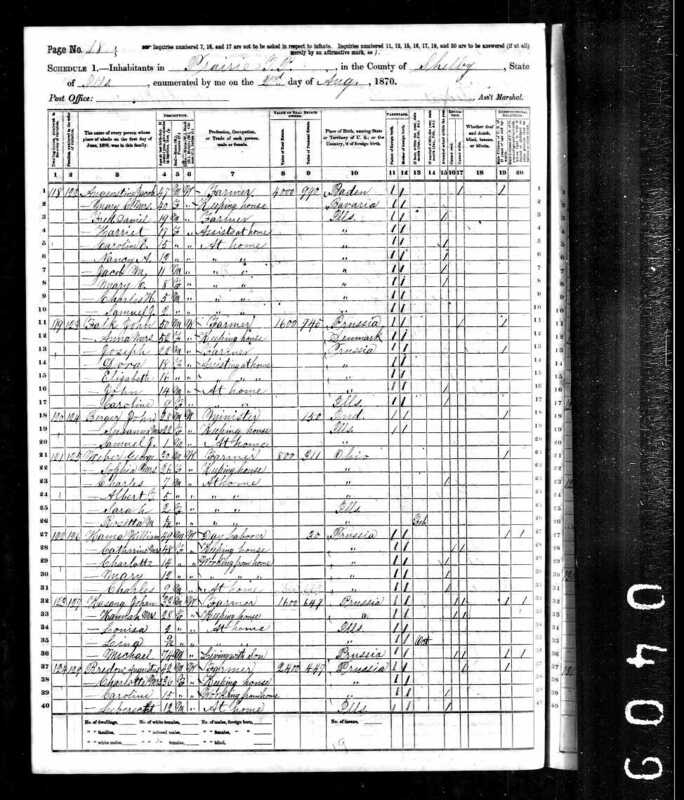 Samuel died sometime before the 1880 census, probably while John was doing missionary work in Germany in the mid to late 1870s. 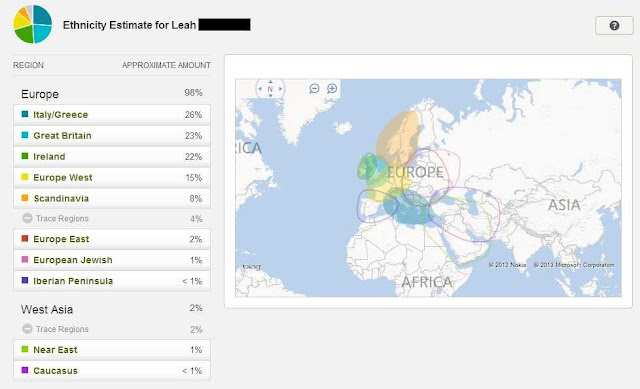 Yet another ancestor I can't find in 1870. George would have been twenty-one and I have no idea where he might have been living. He was born in Kentucky, raised in Indiana and Iowa, and married in Colorado in 1878. He ran away from home around the time of the Civil War and what became of him between circa 1865 and 1878 is a mystery to me. Mary was eight and with her father, siblings and half-brother in Sheridan, Crawford, Kansas. 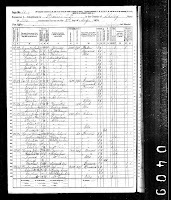 They had moved to Kansas at the end of the Civil War but left for Colorado not long after this census. 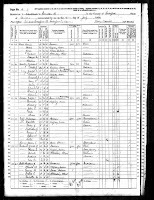 1870 US Census, Crawford County, Kansas, population schedule, Sheridan, p. 411B, dwelling 29, family 29, Andrew J. Webb (head); digital images, Ancestry.com (ancestry.com : accessed 5 September 2011); NARA microfilm publication M593, roll 431.